It will be a busy weekend of pro wrestling in Florida with three promotions running events on Friday and Saturday. The following are details on WWE's developmental territory, Florida Championship Wrestling, with a house show on Friday, the Jeff Peterson Memorial Cup on Friday and Saturday, and Scott Hall scheduled for an independent show appearance on Saturday. -- Friday night - FCW in Plant City, Fla.: The first of five "Fan Appreciation" shows in December. Tonight's show will determine new FCW tag champions after the titles were vacated due to an injury to Wes Brisco. More details on the show can be found on fcwwrestling.info. -- Friday & Saturday - FIP presents the Jeff Peterson Memorial Cup: the 16-man tournament will be held in Brooksville, Fla. on Friday and Crystal River, Fla. on Saturday. Also scheduled is ROH World champion Roderick Strong. A full preview can be read here in the Other News section. 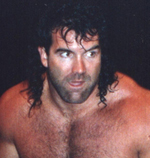 -- Saturday night - Scott Hall appearing at a Coastal Championship Wrestling show at the Coral Springs Gymnasium. Also, former WWE wrestler Ricky Ortiz will be wrestling. More details can be read on MiamiHerald.com.